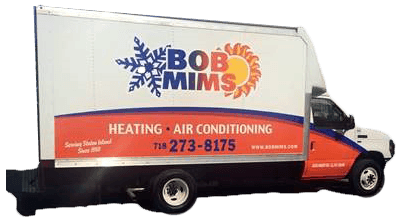 Bob Mims Heating & Air Conditioning has been serving Staten Island’s heating and AC needs since 1955. We always have your comfort in mind, and we customize air conditioning and heating solutions for your needs. We offer installation from some of the top brands in the industry, like Trane, Lennox, and Carrier, but we’re happy to service systems of any make or model. 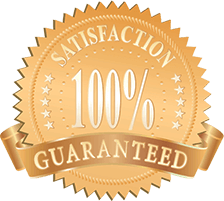 Our HVAC contractors are Staten Island's number one choice for quality and expertise! We provide top-notch service and support for any issue, big or small. We also provide water heater services and indoor air quality systems and services. We’re the only company you need for your home comfort, or for the comfort system on a commercial property. Make Bob Mims Heating & Air Conditioning your go-to source for quality heating and AC services in Staten Island, NY. In everything we do, your comfort is our focus. When it’s hot and humid outside, you look forward to going home to a cool, comfortable home. When this isn’t the case, give us a call! We will make sure that your broken air conditioner is up and running as soon as possible. We also offer expert maintenance services, or, if necessary, we can provide a free estimate for a replacement system. Our installations are efficient, and third-party financing is available. We install systems from Trane, Carrier, and Lennox. And that includes the conventional central air conditioner as well as heat pumps and ductless AC and heating systems. We’ve got something for everyone! Indoor air quality can be just as important as climate control, in many cases. If your home is full of contaminants like dust and pet dander, someone with allergies is going to have a very hard time getting comfortable and staying healthy. High or low humidity levels and poor ventilation can also be a problem. And some contaminants in the air can make you sick. We install quality systems that help to improve the air you breathe. From fresh air solutions like ERV systems and HRV systems, to air purifiers that can keep viruses out of the air, we have just what you need. Contact our team to get the right system, or call us for indoor air quality service. When you’re in need of commercial HVAC services, you must contact professionals who have experience with large, commercial-grade HVAC units. Commercial HVAC specialists are standing by at Bob Mims Heating & Air Conditioning! Our company has been in business since 1955. And ever since, we’ve been committed to making sure that homes and business are as comfortable as possible. We install some of the most trusted brand names in the industry. We can set up a sophisticated control system and whatever zoning layout works for your needs. Our technicians can also get you set up with new indoor air quality equipment. We’re here for you, no matter what service you need, so call our friendly team today. We install and service both tank and tankless models. With free estimates on replacement systems, you can be confident that you’ll get a unit that fits your budget and operates as efficiently as you need. We have A. O. Smith and Bradford White tank models as well as Rinnai tankless units, all of which are known for durability and quality performance. Get in touch with us for all of your water heater maintenance needs. Or contact our team for prompt repairs when you need them. We know how important it is to have a working water heater when you need a hot shower or a clean load of laundry. And we service all makes and models. It’s so important to have a quality heating system when you live in Staten Island. If you’re ready for an upgrade, just call our heating technicians, and we will make sure you have the very best system for your home within your budget. We install boilers from Burnham, Laars, and Weil McLain, and furnaces from Lennox, Carrier, and Trane. We also install heat pumps and ductless systems. But we can repair or maintain systems of any size from any make or model. Our maintenance services include discounts on repairs as well as a 5-year warranty. And an annual tune-up helps your system to run more efficiently for longer. Call our specialists for more information. Is it fine, even beneficial, to have the boiler shut down during summer weather?